Full reno now completed in kitchen and living/dining area - polished floor boards, new paint + new carpet in bedrooms. FSC & centrally located, this 3 bedroom holiday home has all modern conveniences, with private back yard, big under cover gas/wood BBQ area + U/C t tennis + modern bathroom. Everything in this place works (Yes it does!) and is here to make your stay enjoyable and stress free! Free Wi-Fi @ local Cafes/Diner - 10 mins walk away. Ride bikes in safe streets + in local park 5 mins walk away. Fully furnished with quality queen beds in 2 bedrooms, 3 single beds + foldaway in third bedroom. "Orford Escape" is peaceful, would suit families and couples, and is visitor approved. Maximum of 8 people staying with 5 adults maximum per stay. 45 minutes from Hobart Airport, and one hour from Hobart. Orford is the gateway to the world famous Freycinet National Park, including breathtaking Wineglass Bay and historic Maria Island. Minimum 2 night stay. Available year round. Wineries are as close as 2 kilometres away, and are located up & down the East Coast, easily accessible in a one day trip. Have been renting my property for the past 14 years on short term stays. Really enjoy the feedback from people regarding their East Coast experience. Everything in the house works! Undercover BBQ area and U/cover table tennis area a bonus. No need to bring gas for BBQ, it's on site. 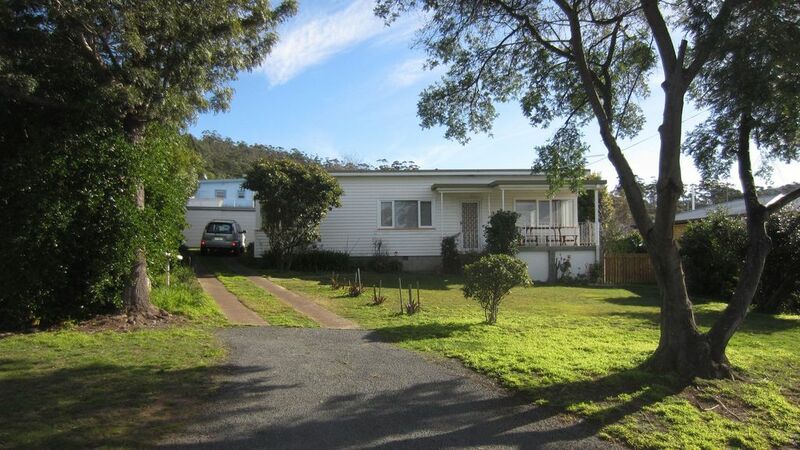 Nearby is ferry to Maria Island, golf course, beautiful Spring Beach, walk to café, IGA supermarket and post office. World renowned Wine Glass Bay (Coles Bay) is approx a 90 minute trip away by car Large park is down the end of the street to walk, ride bikes or just sit! Very welcoming house to relax at. Close to shops and easy acces to beaches and walks. House improvements have enhanced the whole set up. Plenty of space to chill out. Beautifully maintained and renovated beach house. Everything we needed as a family of 5 to relax and enjoy Orford. Walking distance to beach, river and shops. House was spotlessly clean and the new kitchen Reno was fantastic. Loved lying out on the grass, we utilised the under cover BBQ area to play cards and had many games of table tennis. Thanks to Rob for providing the perfect house for our trip to Orford! Comfy couches, clean, all you need is included, great undercover wood fire bbq area for cold evenings. New kitchen & bathroom! Hope you enjoyed staying at 'Orford Escape'. Thanks for leaving the place in such great condition and your positive review. Happy to have you stay again. We really enjoyed our stay. The house was clean and well presented even though the kitchen is somewhat retro..... however it was clean and functional and fully serviced. Very relaxing place with a great bbq area and fenced in yard for the little ones. Close to shops and the bike park just up the road. Nicely renovated bathroom and comfy new couches in the lounge. Thanks Rob would happily stay again.